Practice, practice, practice! That's how Tiger Woods became a championship golfer. He started playing golf when he was very young, and by the time he was 6 years old he was an amazing golfer. His father, Earl, was his coach. When Tiger was just a baby, his dad made a driving range in his garage with carpet and a net. Tiger would sit in his high chair and watch his dad practice. When he was 9 months old, his dad sawed off a golf club to make it very short, and Tiger could strike the ball into the net. When he was 18 months old (just a year and a half), he began going to the golf course with Dad. He hit buckets of balls on the driving range. When he was 4 years old, they hired a coach for him. When he was 6, he began entering junior contests. Tiger listened to tapes to improve his confidence* in himself. His dad helped him to learn to focus in spite of distractions. * He stood in front of Tiger and said, "I'm a tree", and he would have to hit the ball over his father. Earl would jingle the coins in his pocket to distract him, or roll a ball in front of him and Tiger learned to concentrate* on the game. Even though it sometimes made him angry, the training helped him. Once a walkie-talkie* made a loud noise during Tiger's swing at the ball. He said he never heard the radio because he was so focused on hitting the ball. He cannot stand to lose. He does not become angry, but he goes out and practices even harder to not make the same mistakes. During the 2008 season it became apparent Woods was suffering pain in his knee. In April he underwent arthroscopic surgery* on his left knee and missed the remainder of the PGA tour season. After an eight-month period of recovery he returned to playing again in February 2009. Woods and his wife Elin have two children, a daughter Sam and a son Charlie. He is so much better than any other golfers that some say he is the greatest golfer to ever play the game. 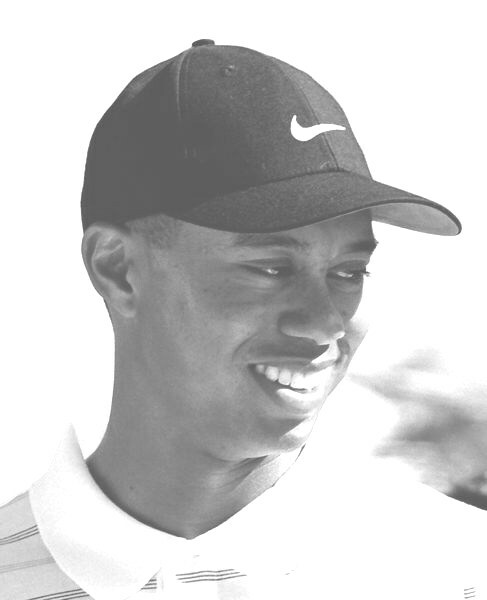 However, as of December 2009 Tiger Woods is a fallen hero due to his actions in his personal life. His fans are deeply disappointed in him. He returned to golf in 2010, but only tied for fourth place at the Masters, losing to Phil Mickelson. 1: a feeling of trust or belief Example: We had confidence in our coach. 2: a feeling of certainty, assurance Example: He spoke with great confidence. a surgery performed using a small incision through which a tiny lens and light are inserted into the joint. 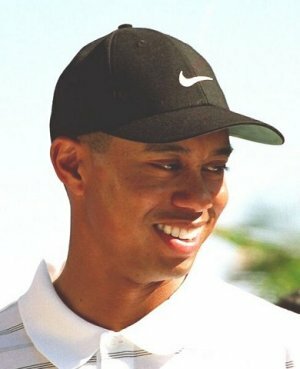 At biography.com search for Tiger Woods. Press "Go" to search for books about Tiger Woods. This page displayed 119,998 times.